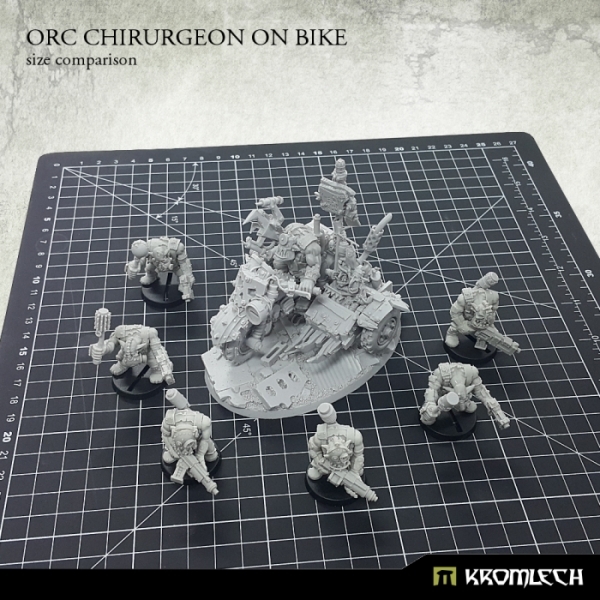 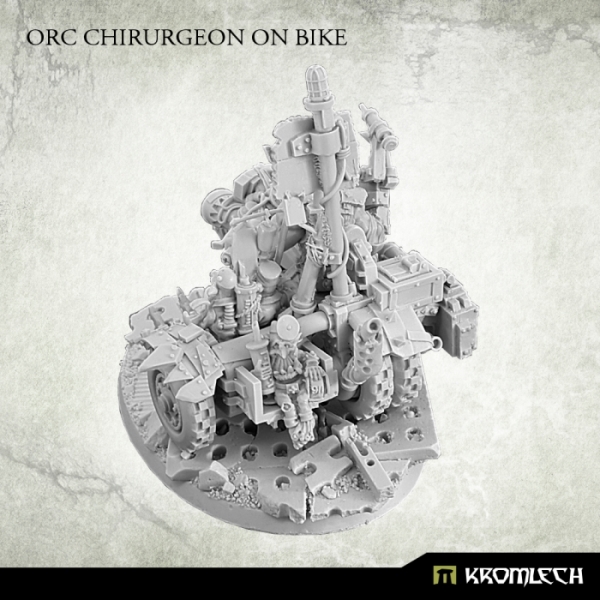 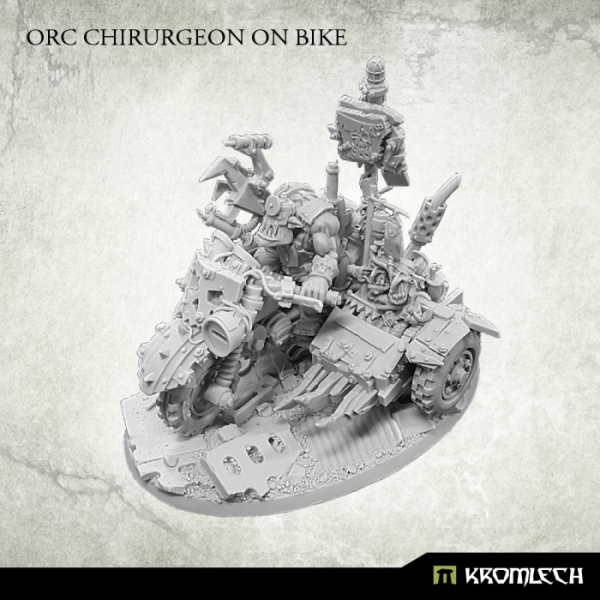 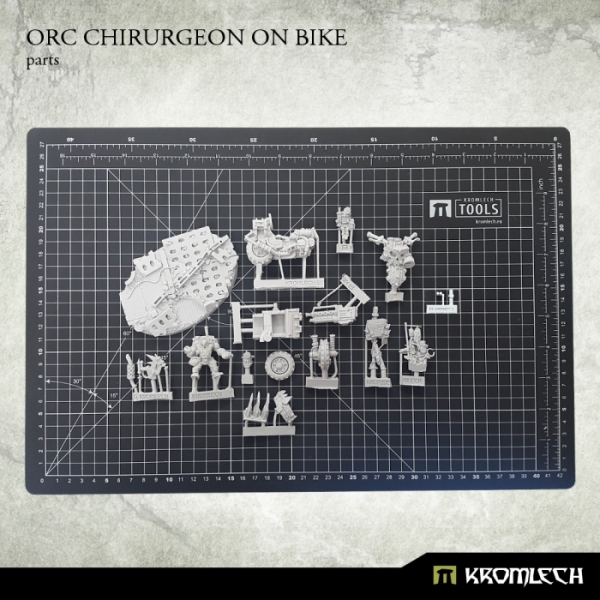 This multi part resin set contains one Orc Chirurgeon on a bike with accompanying Goblin Nurses in a sidecar. 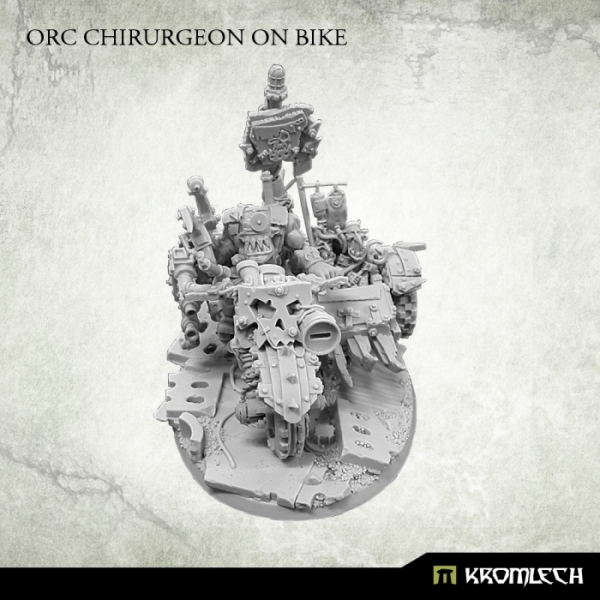 Resin scenic base included. 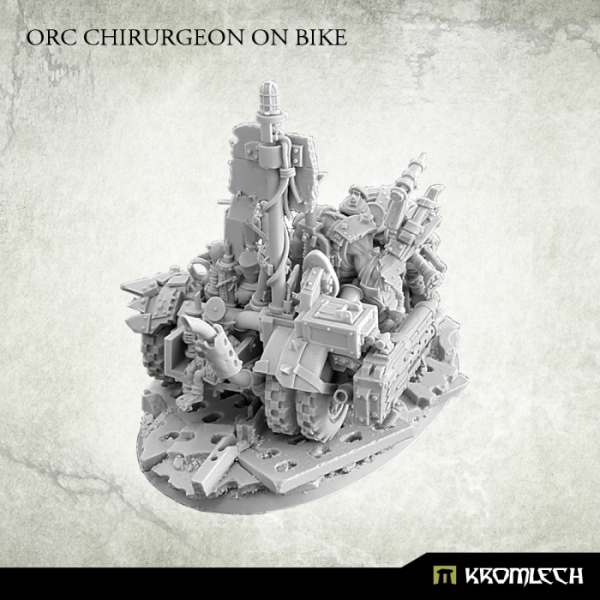 Designed to fit 28mm heroic scale wargames.